The Door Industry Journal: EasyGates plans are underway to open a trade counter! 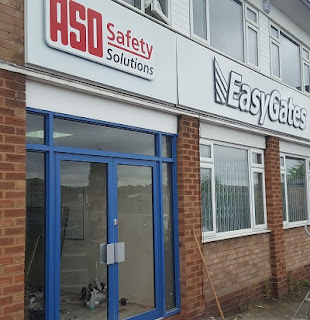 EasyGates plans are underway to open a trade counter! Easygates, Nationwide electric gate & garage door automation, access control and safety supplier has started work on a trade counter at their West Midlands unit that is set to open in early August. The counter will provide trade customers with a fast and convenient way to purchase over 2,000 products. It will also enable customers who have pre-ordered products to have them ready for collection in efficient time. An experienced member of staff will be on hand to answer questions and offer advice on the most suitable products to meet the individual’s requirements. The entire EasyGates range will be available to purchase from the trade counter with support from our technical sales team as and when required. ‘Our online store is going from strength to strength but we still value and appreciate the importance of being able to offer a face to face service. For trade customers close to the West Midlands, the ability to pop by and place an order and take it away with them is invaluable.